Brief Synopsis – A young teenager tries to find a way to fit in with her classmates and friends as they move towards the end of middle school on their way to becoming high schoolers. My Take on it – This is a film that I’ve heard so many great things about over the past few weeks and was very interested in seeing what it was all about. 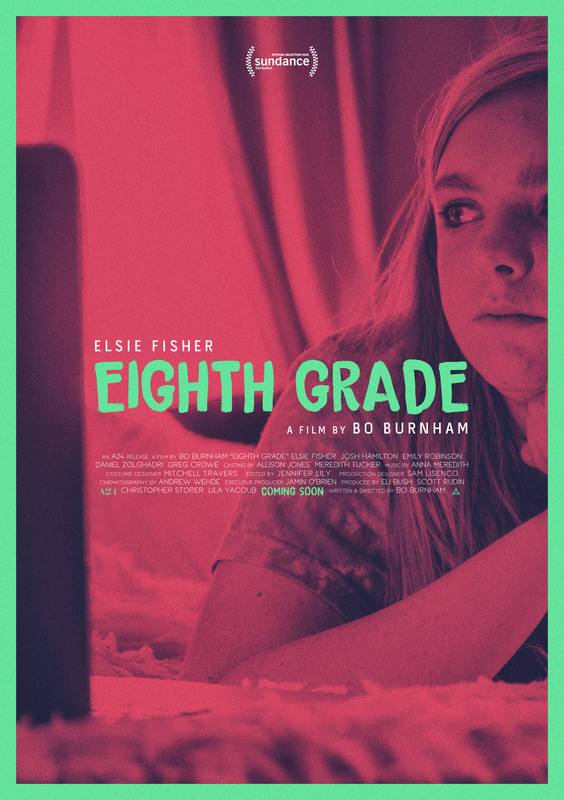 The story presented works largely due to the very amazing and realistic performance by Elsie Fisher in the lead role. She makes us truly believe that her character is in the situations shown and it allows us to get so much insight into the eyes, ears, hearts and mindset of teens in this cyber world we all live in. The way that kids are so connected to the world by their phones and each other is shown really realistically and as a parent, I could relate to many of the things shown here especially the disconnect between the generations despite the urge to form a connection. The plot and storyline is a pretty simple one, yet it still feels quite fresh because of the way that it is presented. As the story arc progresses, and the main characters learns more and more about herself and everyone around her, we get a genuine feeling that this may be a story that could play out in our world too. They manage to keep things interesting throughout as we see things move along and I especially liked the way that they presented the father-daughter dynamic here as both one where they have a connection yet are still finding ways to make that connection stronger despite the generation gap. Bottom Line – Very interesting film that works largely due to the performance of Fisher. This story helps give us much insight into the eyes, ears, hearts and minds of young teenagers because we are able to see the realistic way that they are portrayed here. The story itself is a very simple one but we get to see how the story arc progresses as the main character learns more and more about herself and the generation she is a part of. The freshness of the story helps keep things interesting and I really liked the way they show the dynamic between the character and her father because it feels so relatable in a parent-teenager relationship. Recommended!